Keeping those cute little bunnies happy with carrots this spring has never been easier! 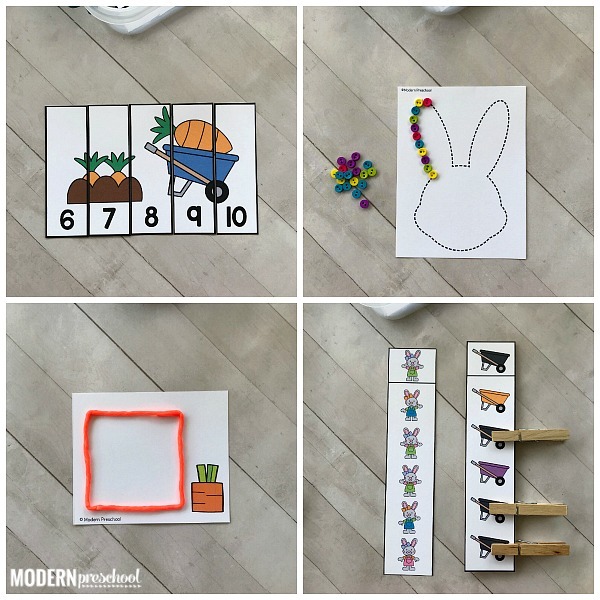 Our printable BUNNIES Fine Motor Busy Bins for Easter and spring are perfect for your favorite preschool, pre-k, and kindergarten kiddos. 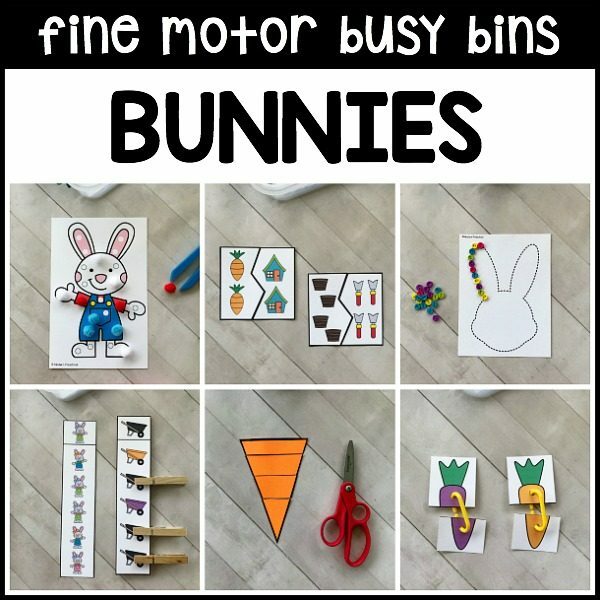 The BUNNIES Fine Motor Busy Bins include 12 printable activities that offer fine motor practice for little hands. Yes, please! 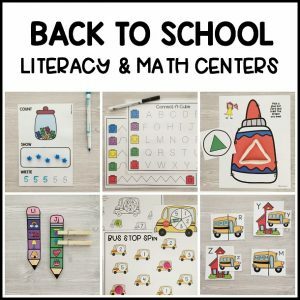 Little hands need lots of fine motor practice to be ready to cut with scissors, hold pencils the correct way, buttoning jackets, opening lunch boxes, and tying shoes! 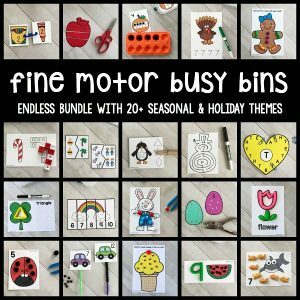 The BUNNIES fine motor busy bins are the 14th set in our ENDLESS Themed Fine Motor Busy Bins Bundle. Find details about the BUNNIES Fine Motor Busy Bins for spring and Easter activity descriptions and extra supply lists can be found below. Check out the images above to see how the busy bins look prepped and ready to go! 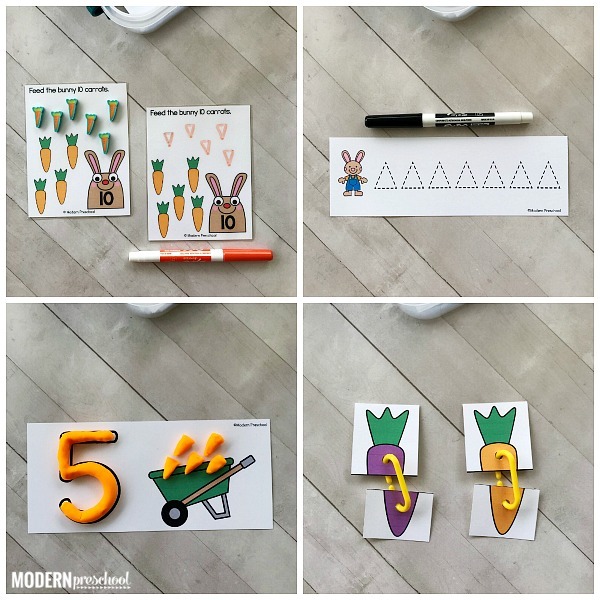 Carrot Counting Play Dough Mats – Form the numbers 1-20 out of play dough and then add the same number of play dough carrots to the wagon. 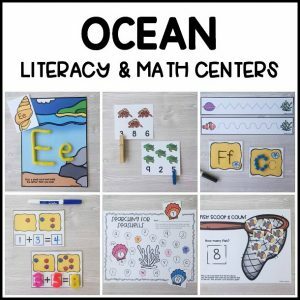 Bunny Pre-Writing Tracing Cards – Trace the pre-writing lines with dry erase markers to practice letter writing with lifts in between each line, shape, and symbol on the cards. Color Linking Carrots – Match the carrot colors by linking the correct top and bottom carrot pieces with plastic linking chains. Feed the Bunny to Make 10 – Work on counting on up to 10 by drawing enough carrots on the cards so that each bunny gets 10 carrots. Use dry erase marker or carrot mini erasers. Pom Pom Bunny Color Match – Add one pom pom on each dot to match the missing color on the picture. Use kid-friendly squeezers to pinch and place each pom pom. Garden Clip Cards – Use visual discrimination skills to match and clip each picture on the card that is the same as the picture at the top. Use a clothespin to clip each matching picture. Bunny Button Trace Cards – Use mini buttons to follow along the dotted lines on each picture to create the outline. Mini beads would work too! Cutting Carrots – Use scissor skills to cut the triangle carrots apart on the thin lines. Glue the pieces back together on a background for added fine motor work. Count & Match Puzzles – Count the pictures on the puzzle piece. Find the other side of the puzzle that has the same number of pictures, and match it up. 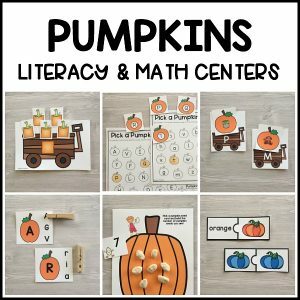 Roll & Cover (1-6 or 7-12) – Roll a die, identify the number rolled, and then use the picture code at the top of the card to figure out which picture represents that number. Cover the correct picture with a snap cube and roll again. Carrot Wikki Stix Shapes – Bend the Wikki Stix (or pipe cleaners) to form the shape on the card, focusing on corners and curves to make sure the shape is identifiable. 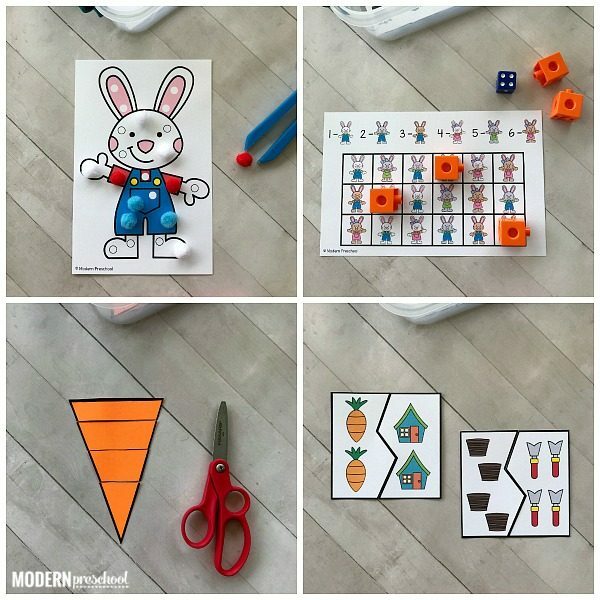 Number Puzzles – Practice counting on and number order while putting puzzles together to create 4 different bunny scenes. Includes 1-5, 6-10, 11-15, and 16-20. 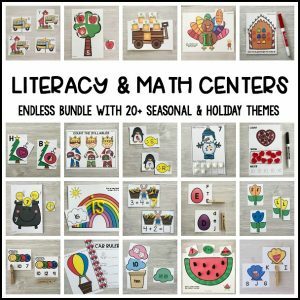 Hop your way over to even more bunny themed learning ideas? 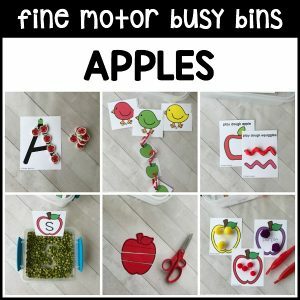 Our BUNNIES Fine Motor Busy Bins are the perfect partner to these BUNNIES Literacy & Math Centers!